Being a noteworthy manufacturer, trader, exporter, importer and supplier, we are offering a wide range of Kalonji Sorting Machine. Our offered sorting machine is widely appreciated by the clients for its varied quality attributes. 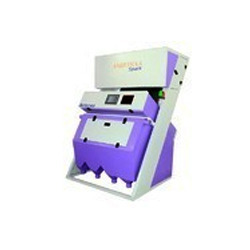 The provided sorting machine is manufactured by our proficient professionals by using premium quality components and sophisticated technology in adherence with industry norms. Used in food processing industry, this sorting machine is tested against different quality parameters. Looking for Kalonji Sorting Machine ?